Free shipping for orders over € 30,00 VAT excl.! Thanks to its powerful magnets, this perfectly functional and ergonomical closure system guarantees endless durability. The rigid structure of the bag can be easily removed thanks to its velcro fasteners. Our bags are entirely handmade in Italy by expert craftsmen. We also produce custom-made bags. MAXBOX delivery bags are designed to be the most durable on the market. We pay attention to details : our leather handles show the high quality of our guaranteed Italian materials. The in-built adjustable grommet prevents the formation of moisture, so your pizzas can stay crisp during delivery. MaxBox insulated pizza delivery bags are Made in Italy handmade products, manufactured byrnexpert craftsmen. They are conceived to be durable, resistant, and reliable, and built withrnguaranteed Italian, machine-washable materials. Their convenient magnetic closure allows for arnperfectly functional and ergonomical closure, while the in-built adjustable grommet preventsrnmoisture build up. All of our products are easily washable : guaranteed cleanliness and durability ! Choose your product, select quantity, personalize it with your favorite color and extras. Then choose your preferred method of payment. Insulated nonrigid pizza delivery bag with moisture venting grommet and zipper fastener. Fits up to 5 boxes of 33x33x3cm or 34,5x34,5x3cm. Insulated nonrigid pizza delivery bag with moisture venting grommet and zipper fastener. Fits up to 5 boxes of 40x40x3cm or 36x36x3cm. 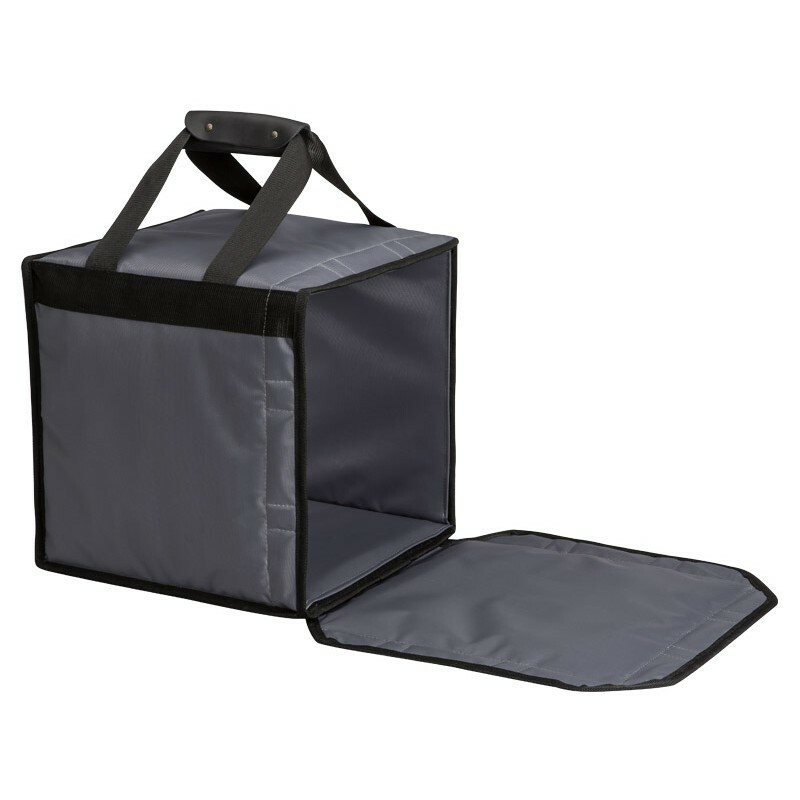 Insulated semi rigid pizza delivery bag with velcro fastener and ticket holding pocket. Fits up to 7 boxes 33x33x3cm or 6 boxes 34,5x34,5x3cm. Insulated rigid pizza delivery bag with magnetic closure. Fits up to 5 boxes 33x33x3cm or 34,5x34,5x3cm. Insulated rigid pizza delivery bag with magnetic closure.Fits up to 10 boxes 33x33x3cm or 34,5x34,5x3cm. 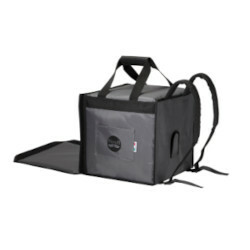 Insulated rigid pizza delivery bag with magnetic closure. Fits up to 6 boxes 40x40x3cm. Insulated rigid pizza delivery bag with magnetic closure.Fits up to 4 boxes 50x50x5cm. Insulated rigid pizza delivery bag with magnetic closure.Fits up to 4 boxes 60x40x5cm. Insulated rigid pizza delivery backpack with velcro fastenr. Fits up to 10 boxes 32,5x32,5x3cm, 33x33x3cm, or 34,5x34,5x3 cm. 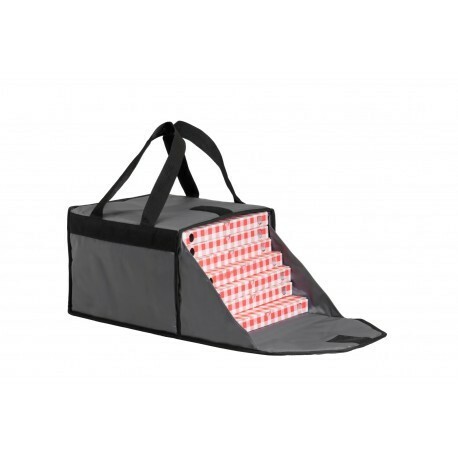 Insulated rigid pizza delivery bag with velcro fastener.Fits up to 5 boxes 33x33x3cm or 34,5x34,5x3cm. 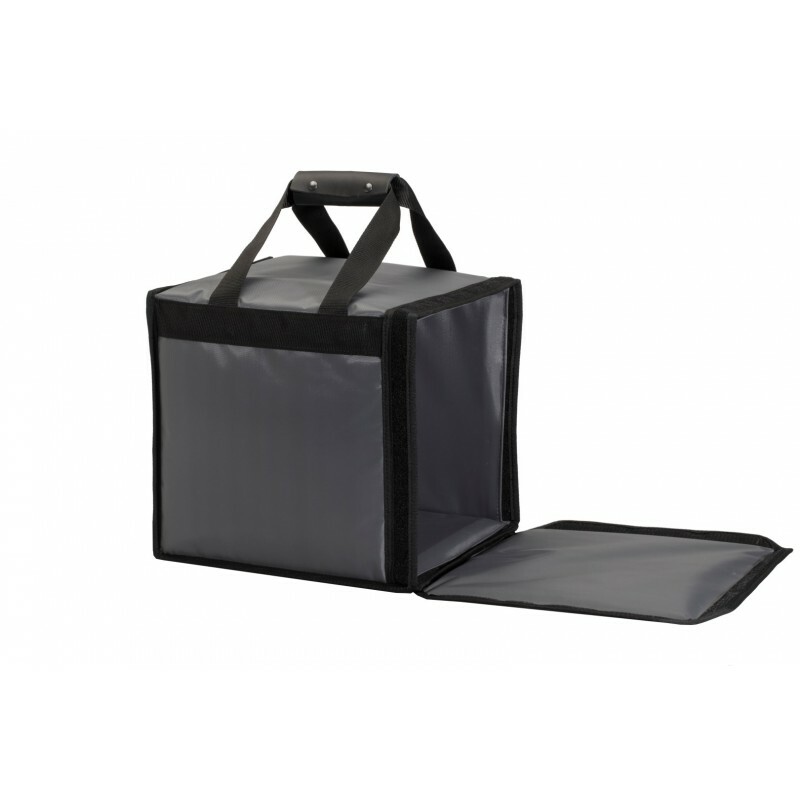 Insulated rigid pizza delivery bag with magnetic closure.Fits up to 10 boxes 40x40x3cm. Insulated rigid pizza delivery bag with velcro fastener. Fits up to 6 boxes 40x40x3cm. MaxBox insulated pizza delivery bags are Made in Italy handmade products, manufactured by expert craftsmen. They are conceived to be durable, resistant, and reliable, and built with guaranteed Italian, machine-washable materials. Their convenient magnetic closure allows for a perfectly functional and ergonomical closure, while the in-built adjustable grommet prevents moisture build up.